Bettye Griffin writes romance and women's fiction set in the real world...no fantasy or billionaire romances here! She enjoys placing her characters in the stickiest situations she can imagine, proving that love can occur under any circumstances. 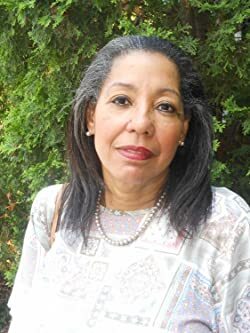 After having 16 novels traditionally published between 1998 and 2010, Bettye launched Bunderful Books in 2009 when no one wanted to publish a love story about a hero without a dime (Save the Best For Last), became an indie writer and hasn't looked back since. A native of Yonkers, New York, Bettye now calls Southeast Wisconsin home and lives near the banks of beautiful Lake Michigan. Please enter your email address and click the Follow button to follow Bettye Griffin! A three-part bundle featuring the prequel and two full novels in the Love Will series: Sinner Man: A Short Prequel, Love Will Follow, and Love Will Grow, featuring friends from childhood Tierney Simmons of Illinois and Nylah Taylor of Indiana.